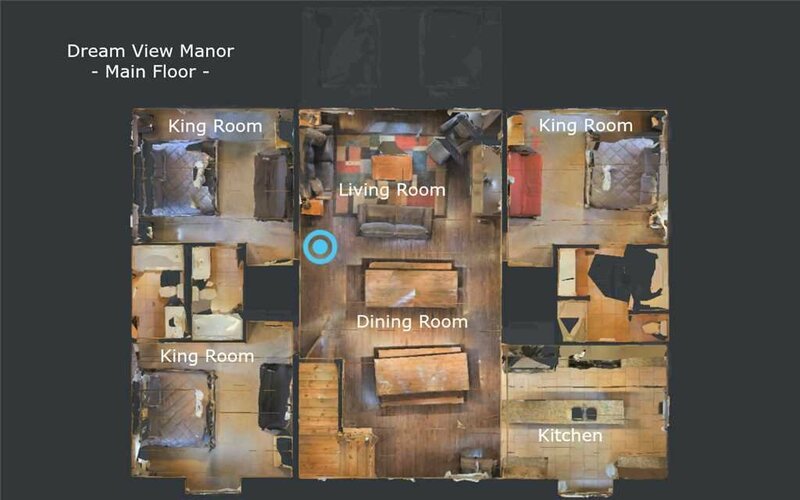 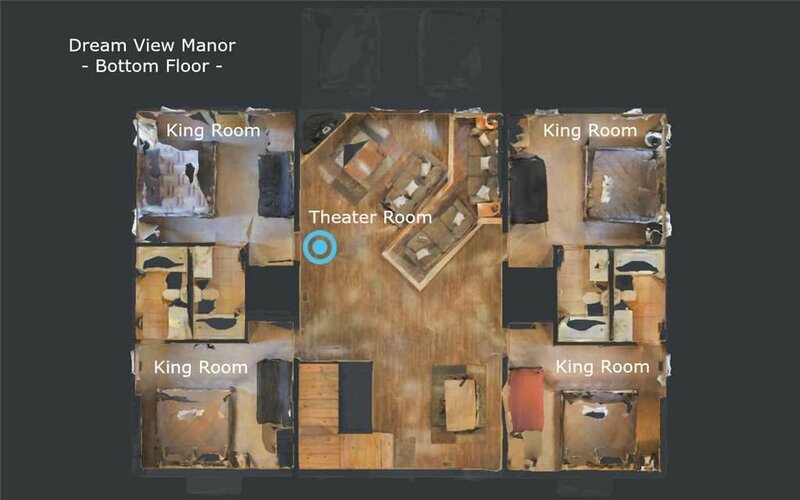 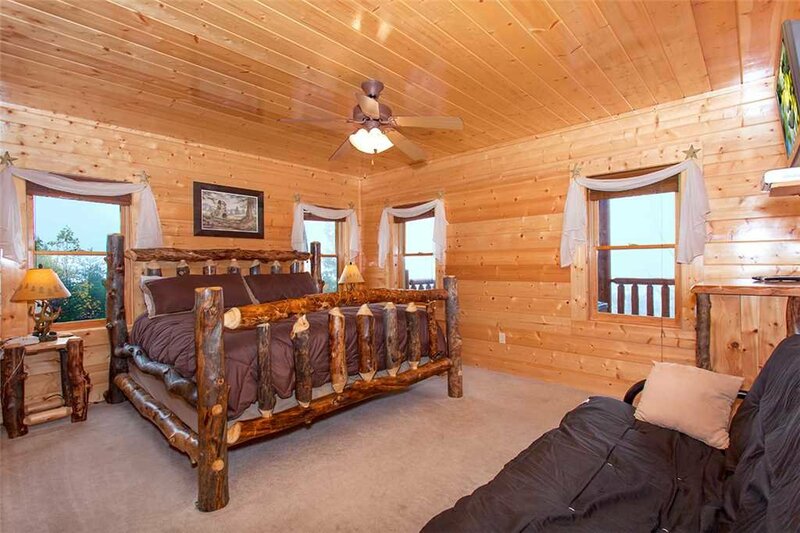 Experience a view you could only dream of in Dream View Manor. 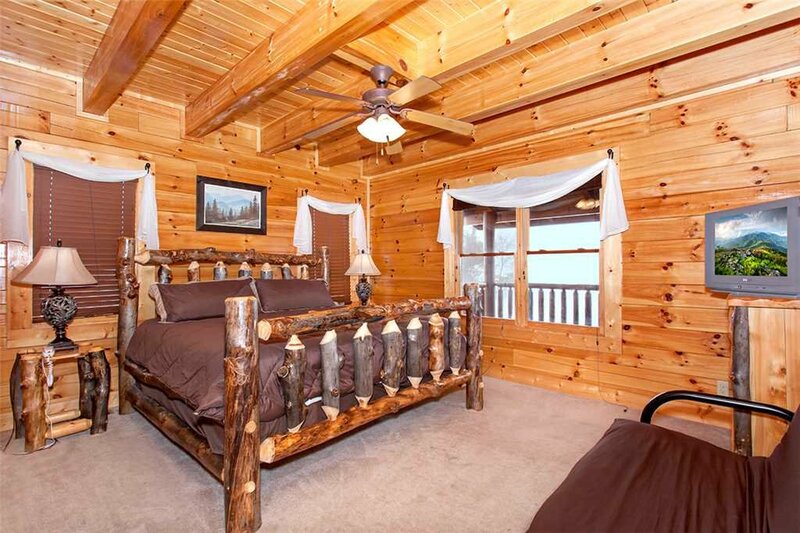 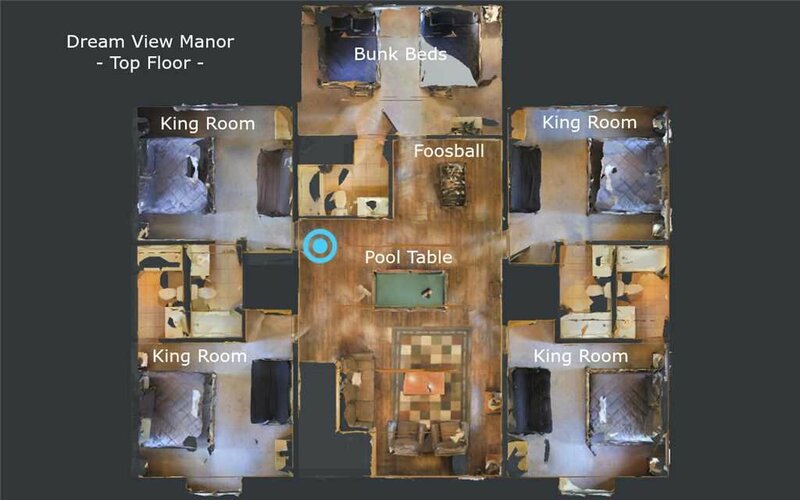 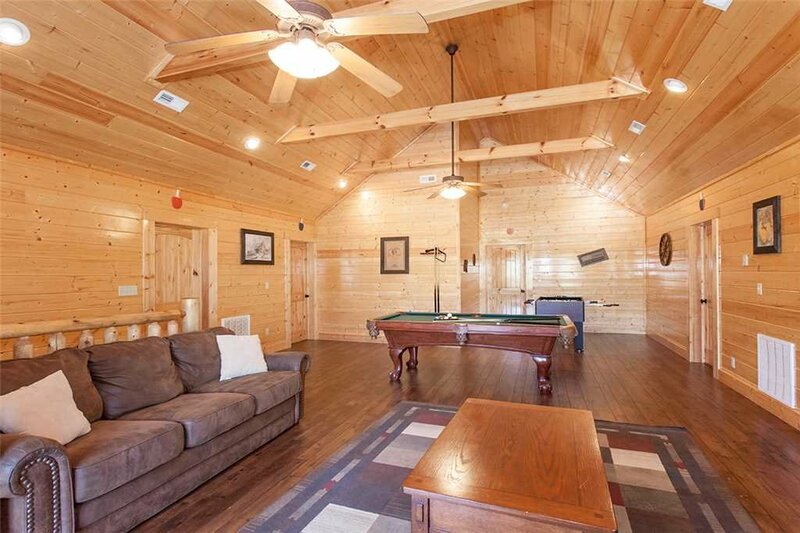 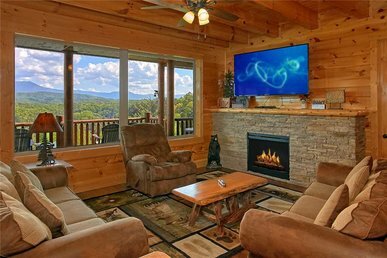 Located at the pinnacle of The Preserve Resort this luxury 12-bedroom cabin offers 3- levels with a deck off of each can easily sleep 54 people, picture-perfect for a family reunion or group retreat. 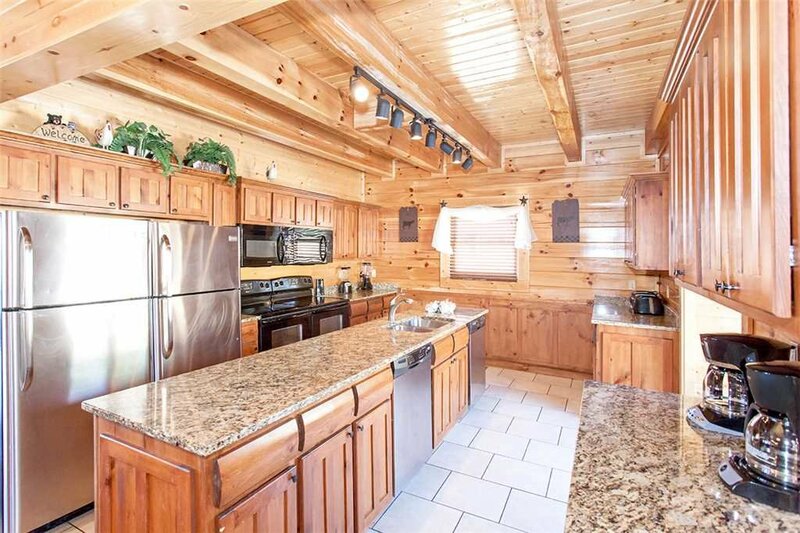 The kitchen offers double stainless steel appliances and is fully-equipped to make preparations easy for the whole group. 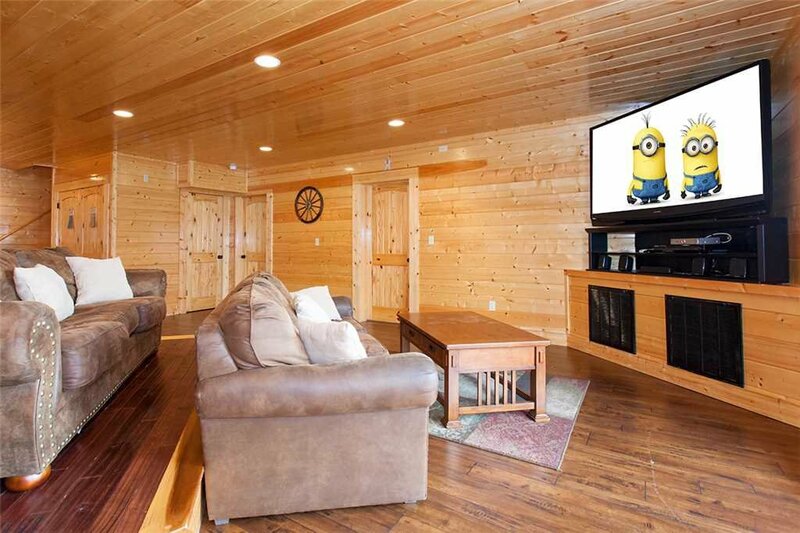 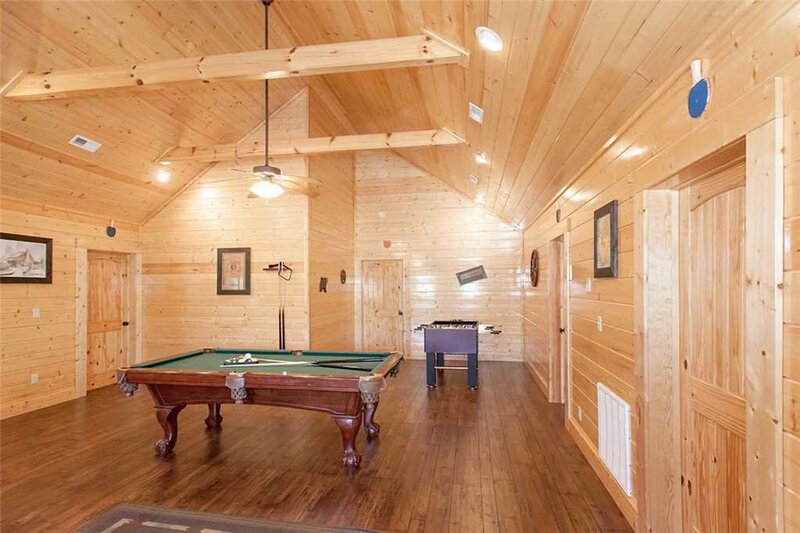 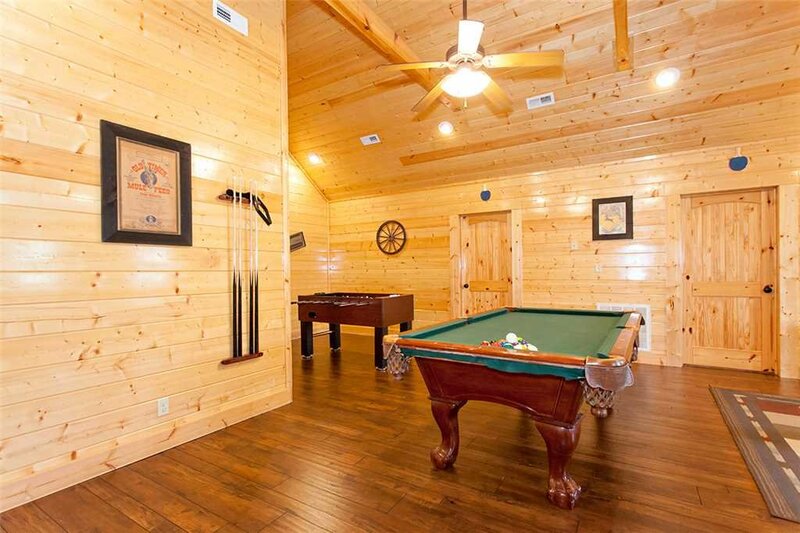 Let the group spread out in this spacious luxury cabin with a game room featuring a pool table and air hockey or bring your favorite movies to watch in your private theater that offers couch seating for the best movie watching experience. 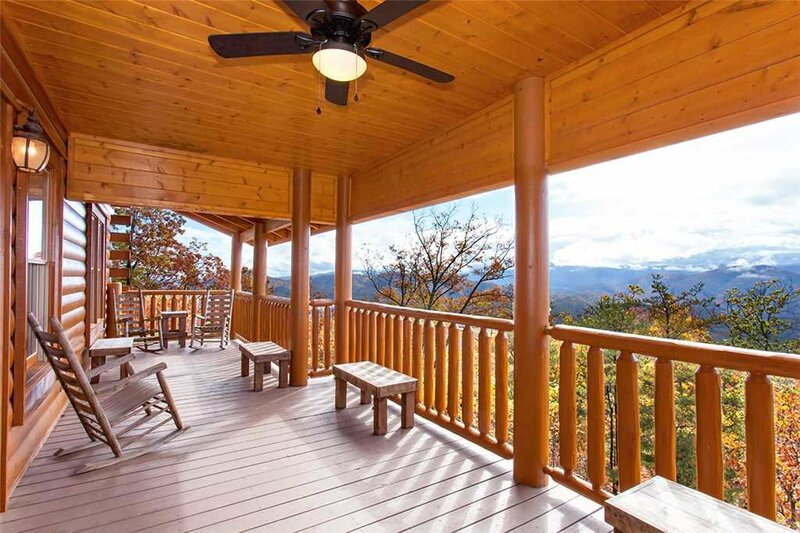 Regal in the invigorating mountain air with your morning coffee as the morning birds serenade you. 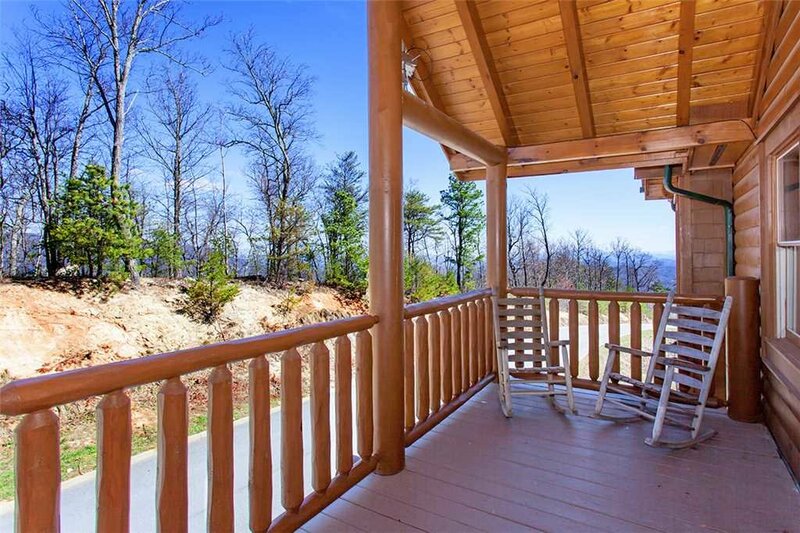 Kick back in one of the wooden rocking chairs to revel in the uninterrupted rolling mountain views. 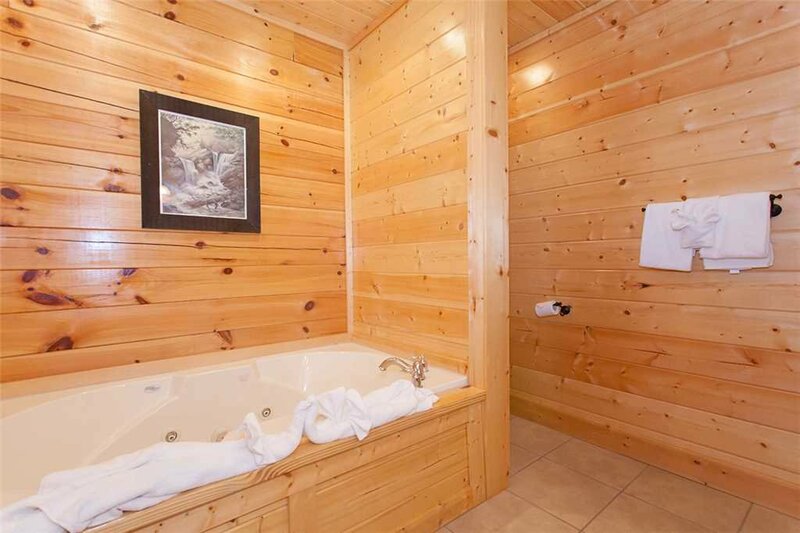 At the end of your day’s journey slip into the hot tub and wait for the stars to shine, with no city lights to impede. 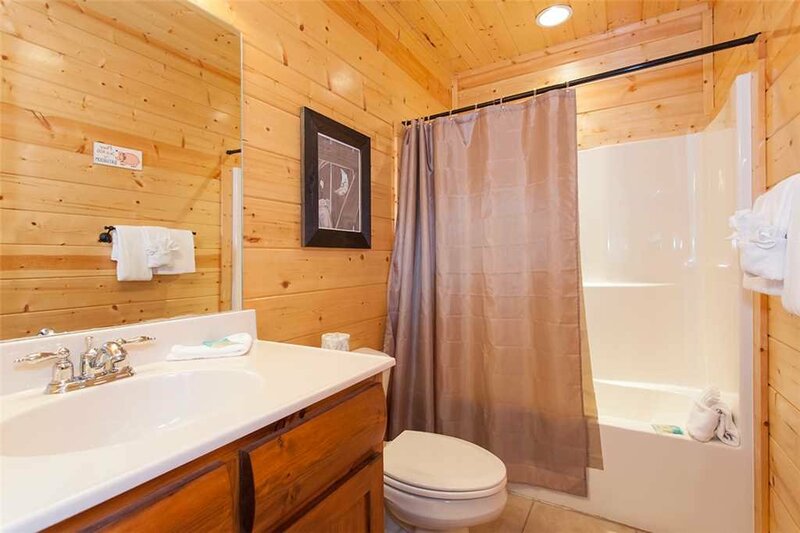 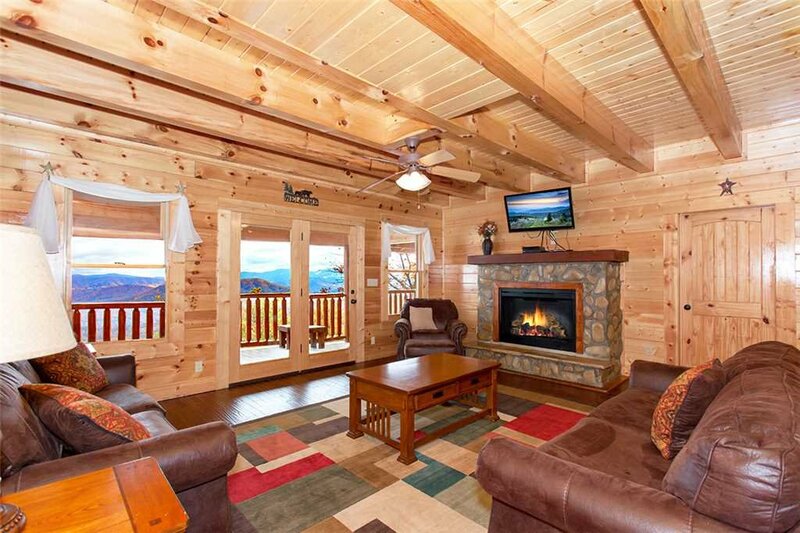 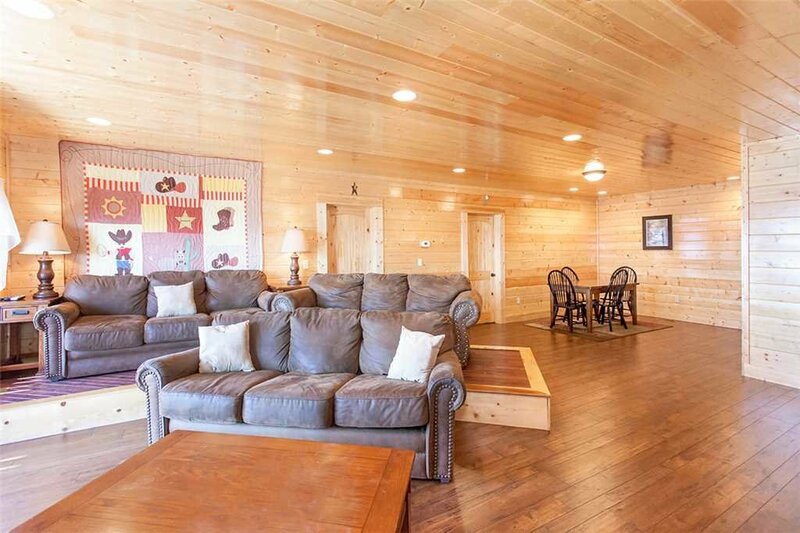 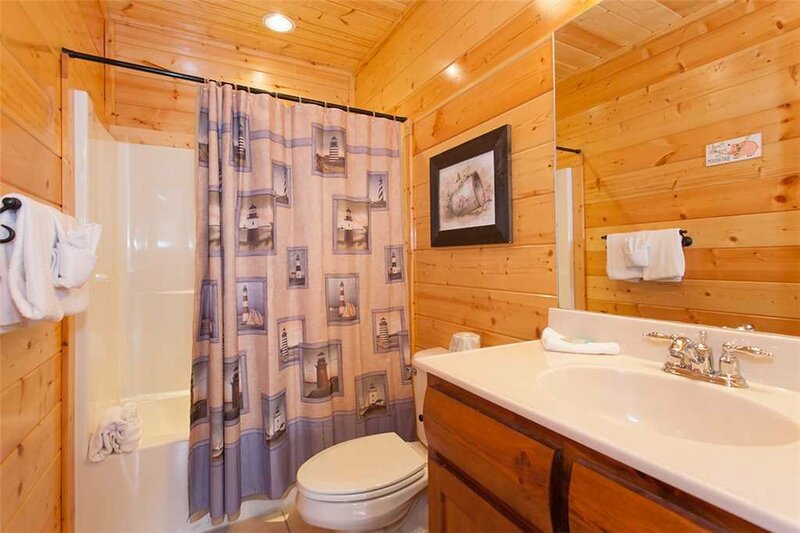 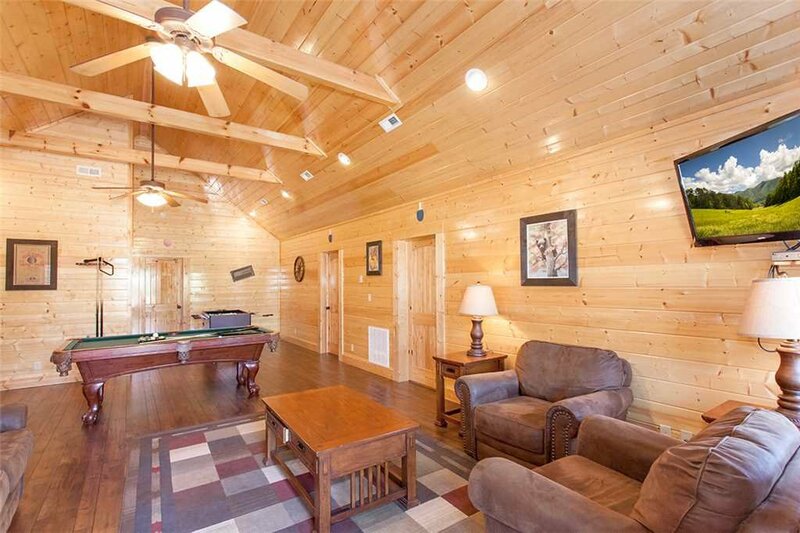 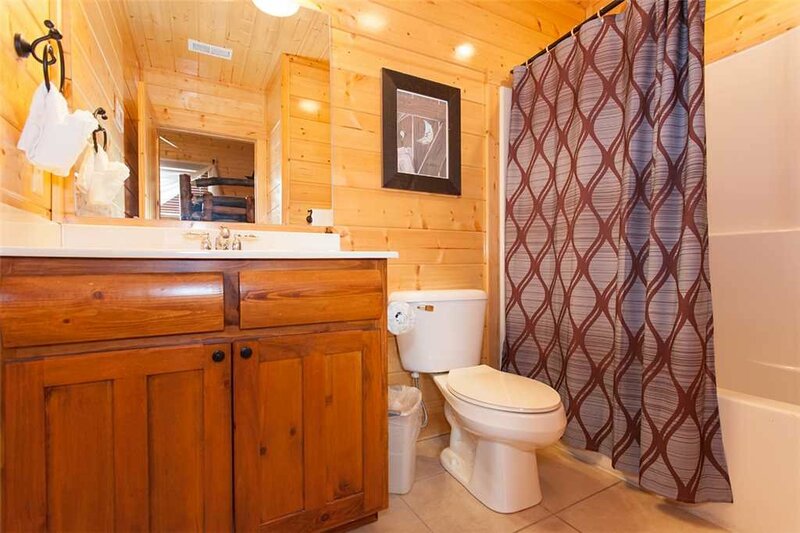 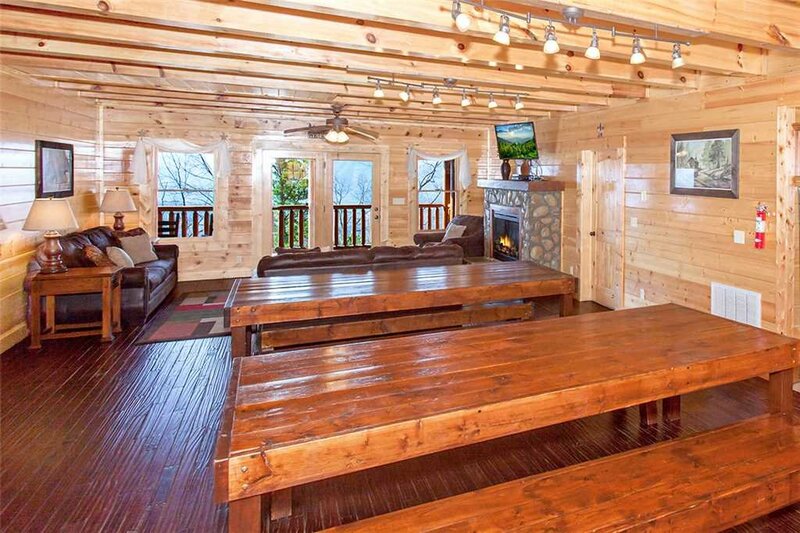 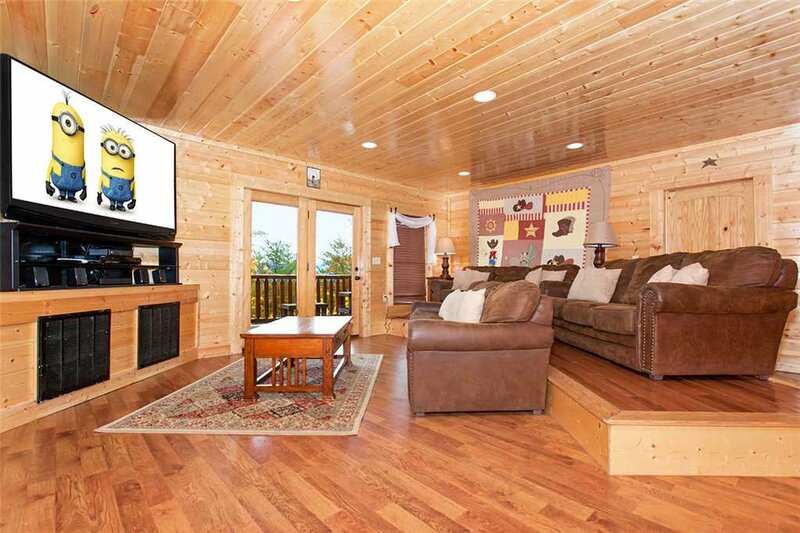 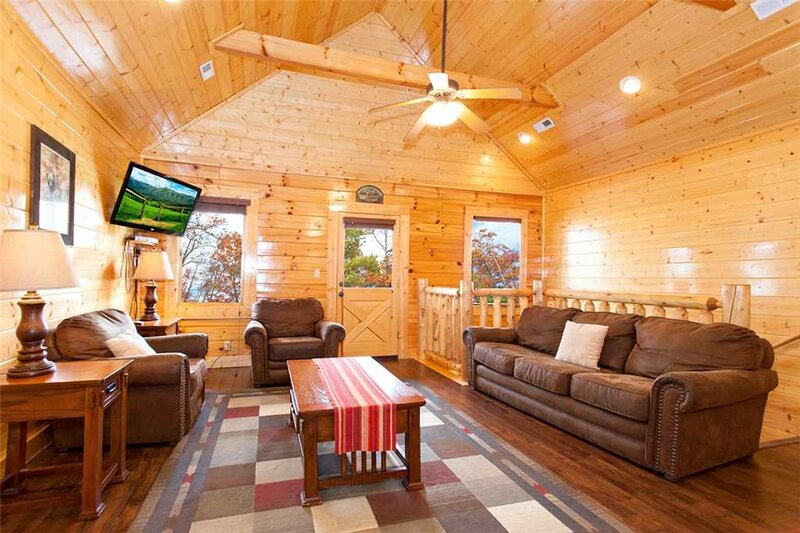 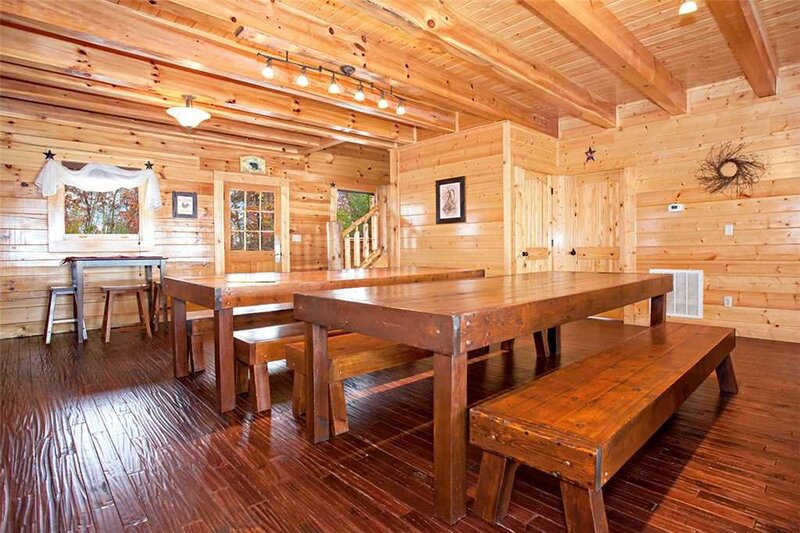 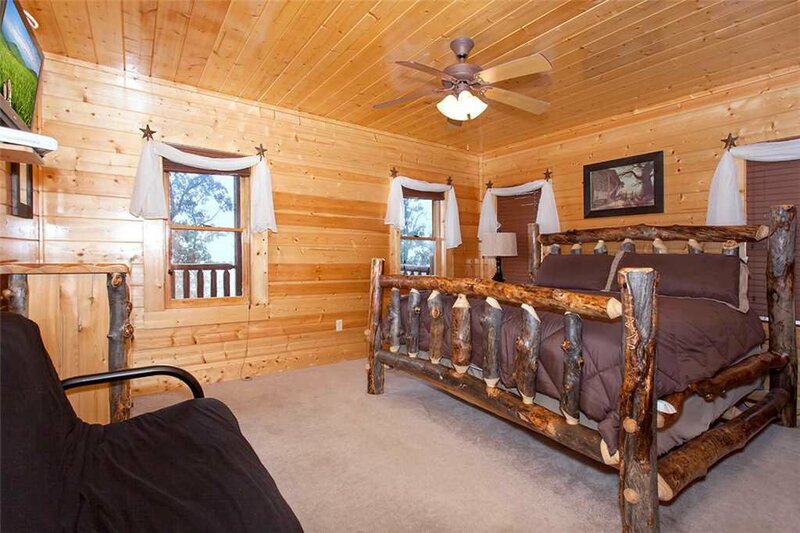 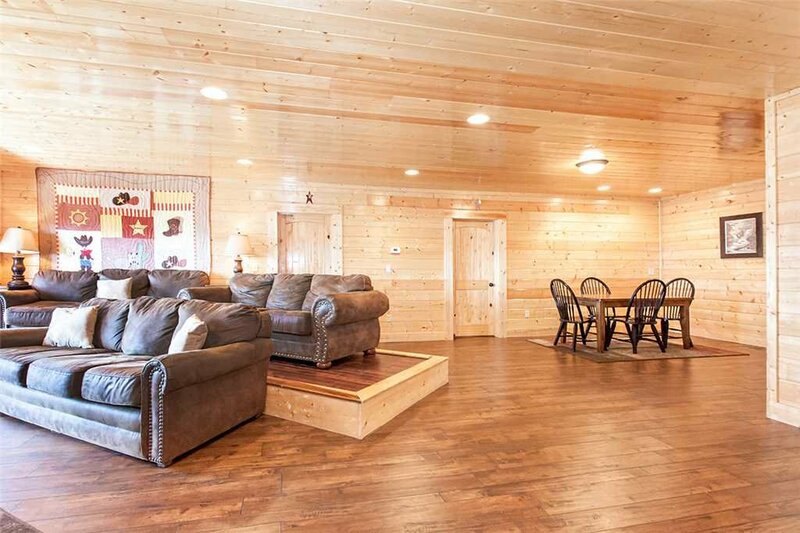 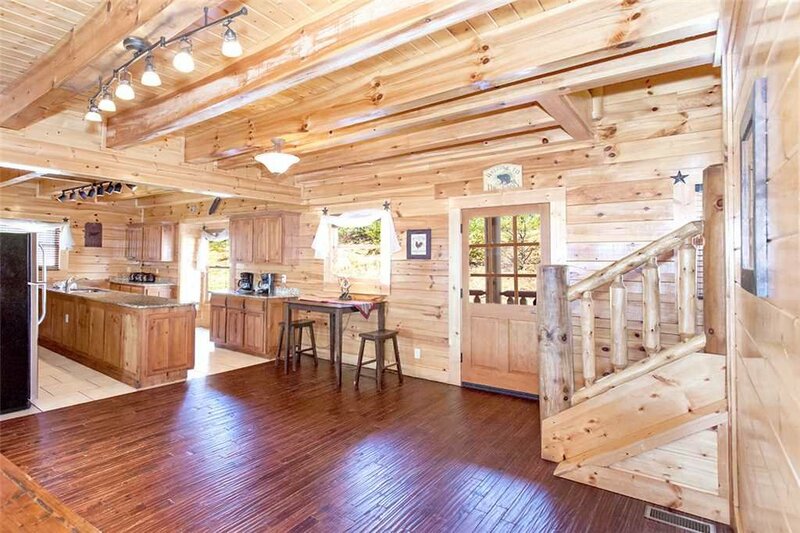 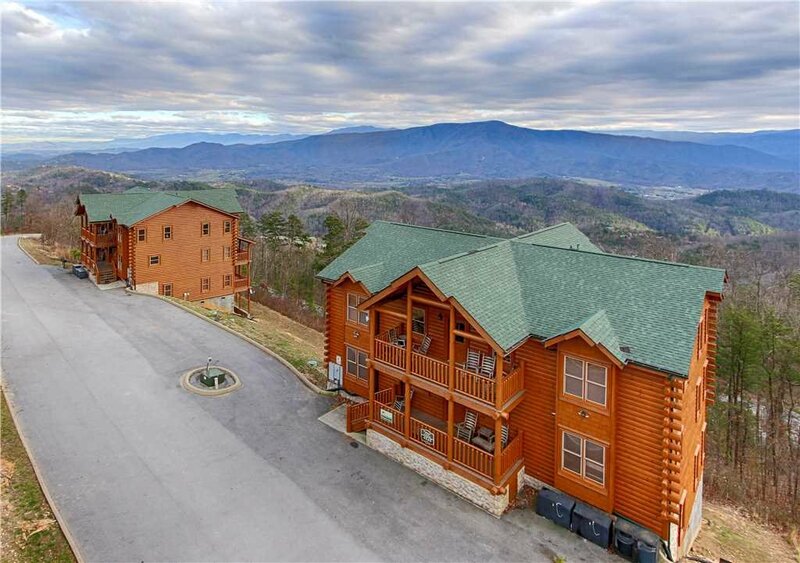 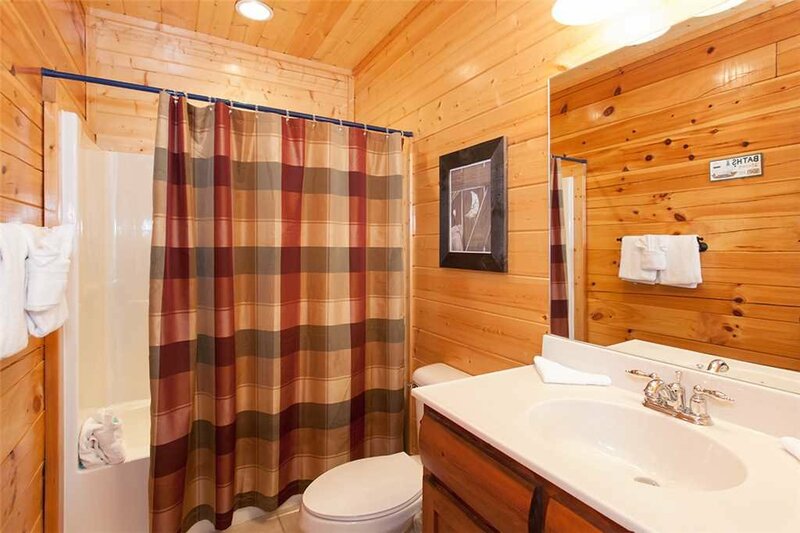 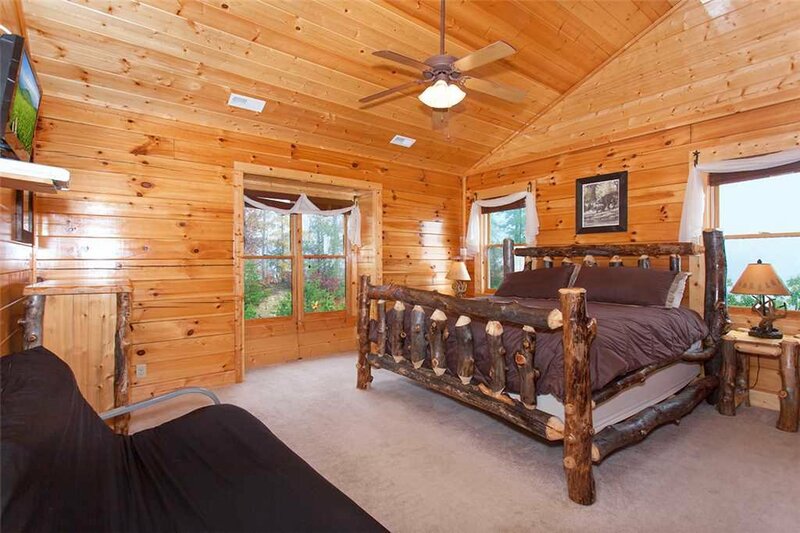 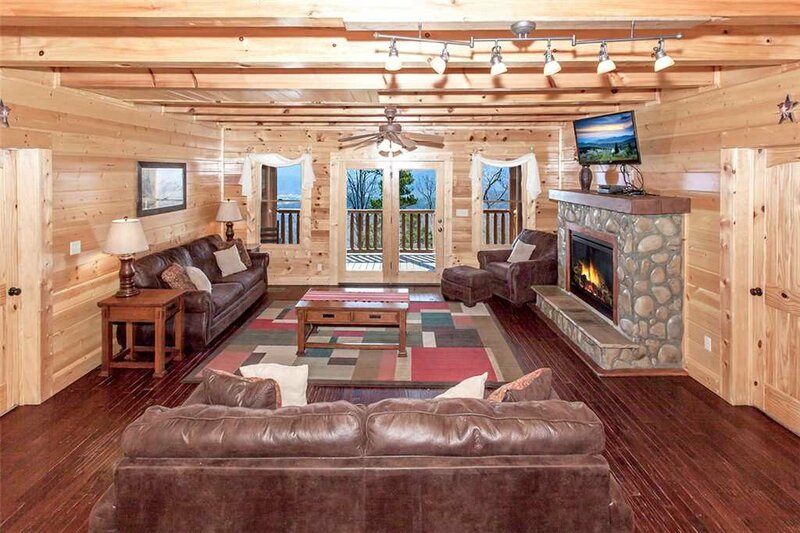 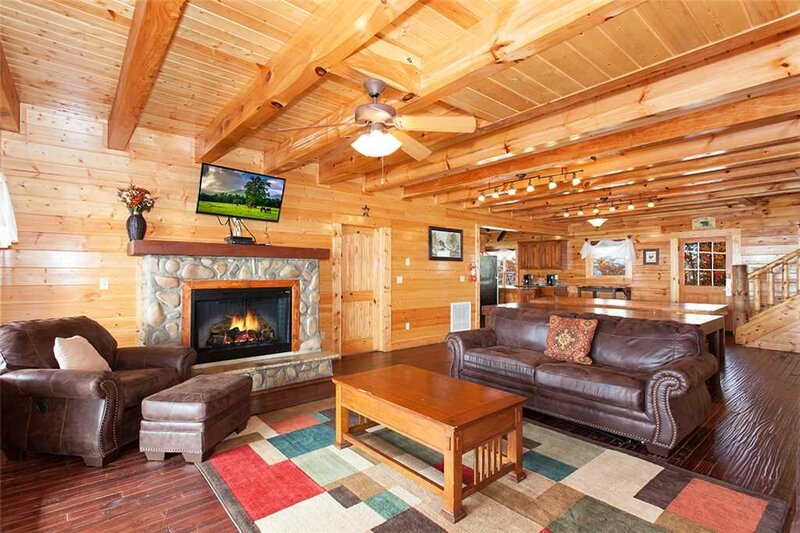 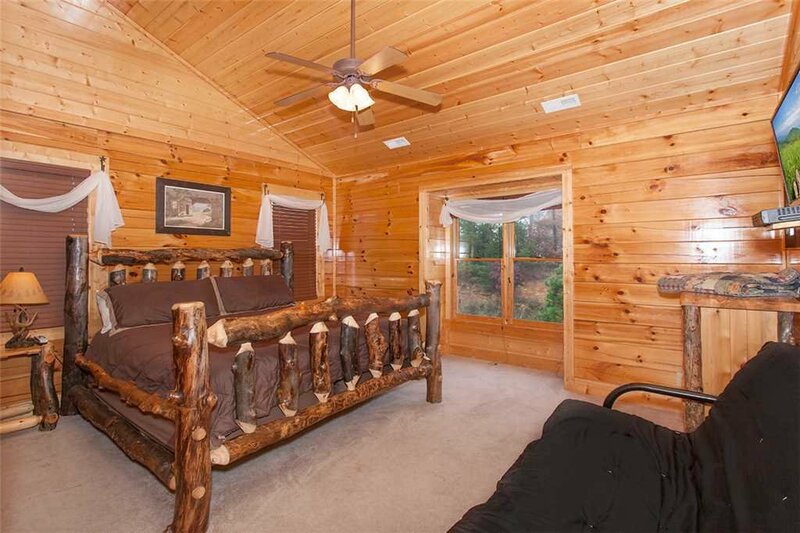 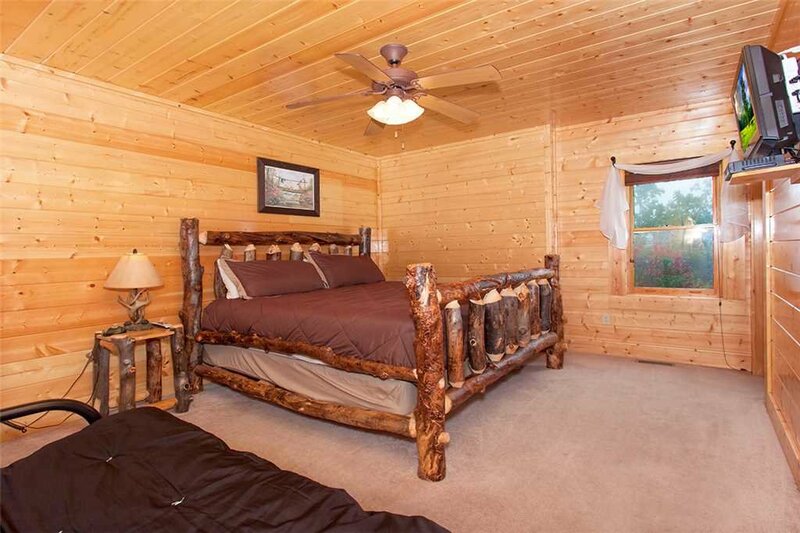 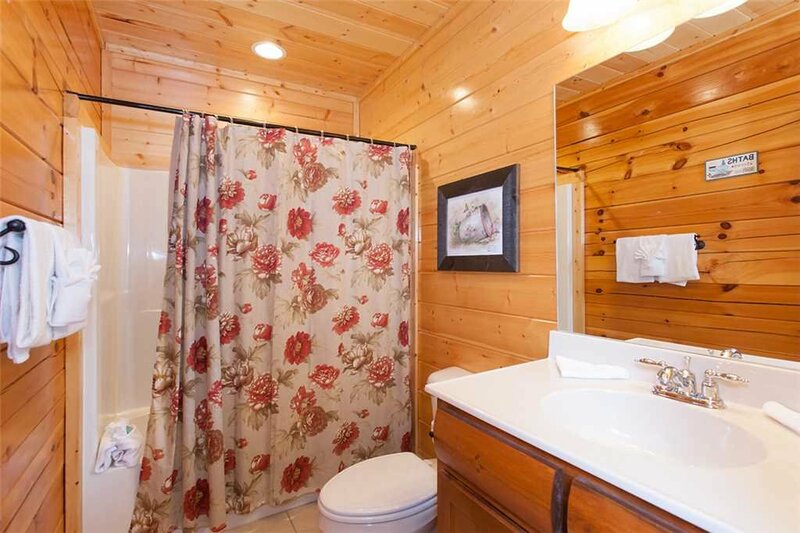 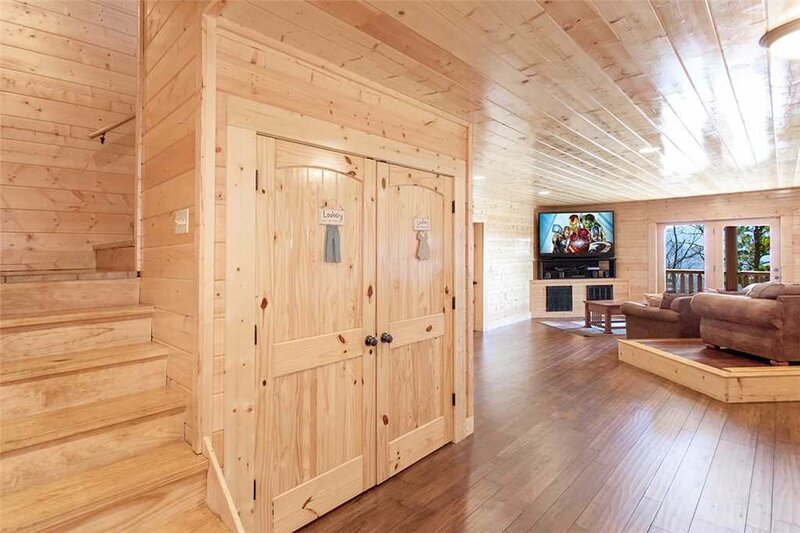 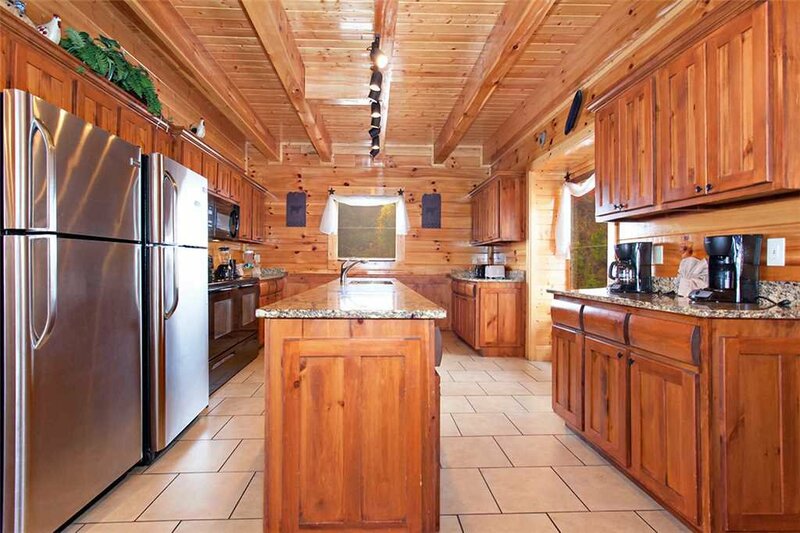 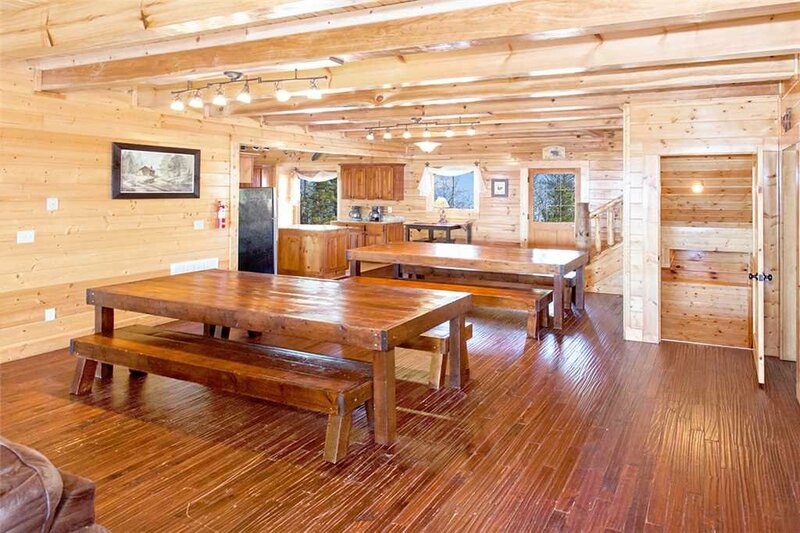 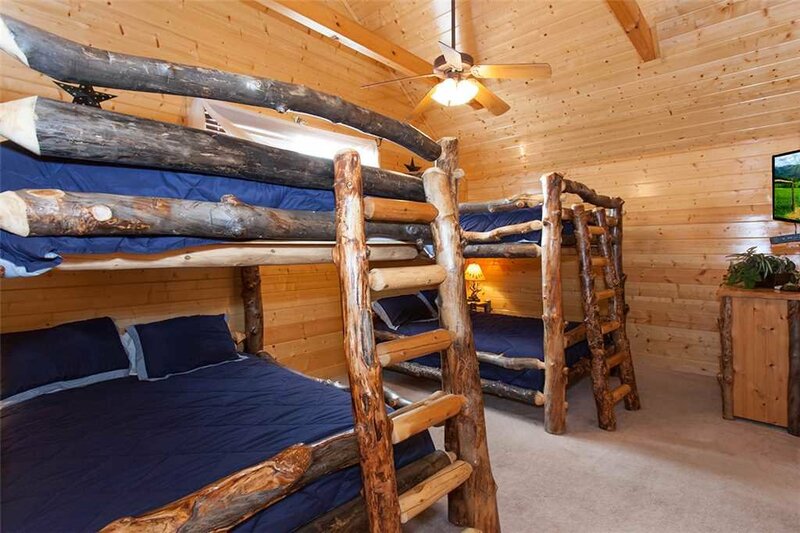 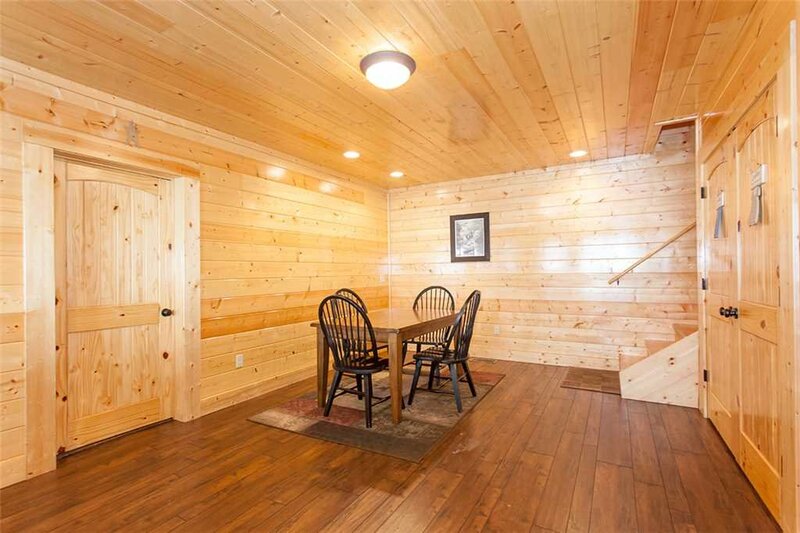 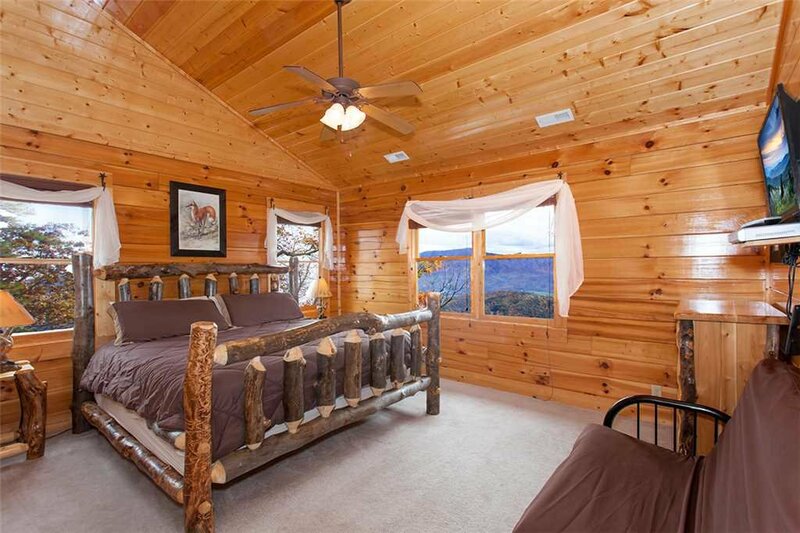 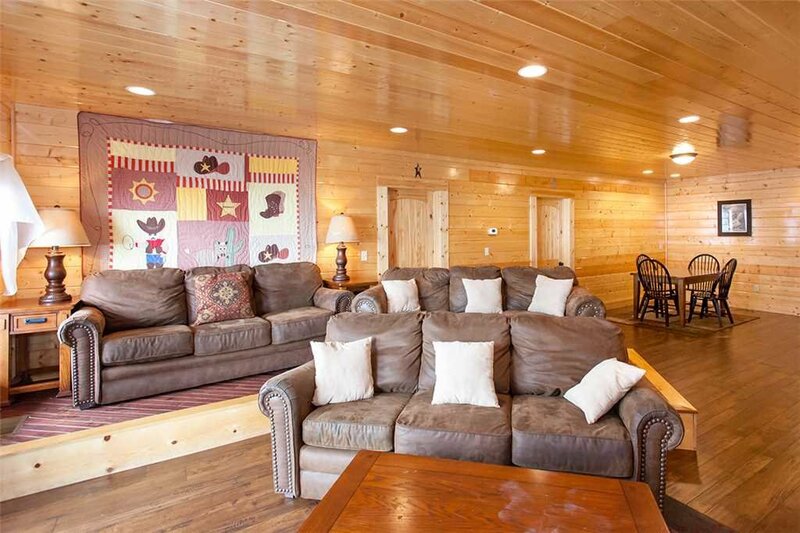 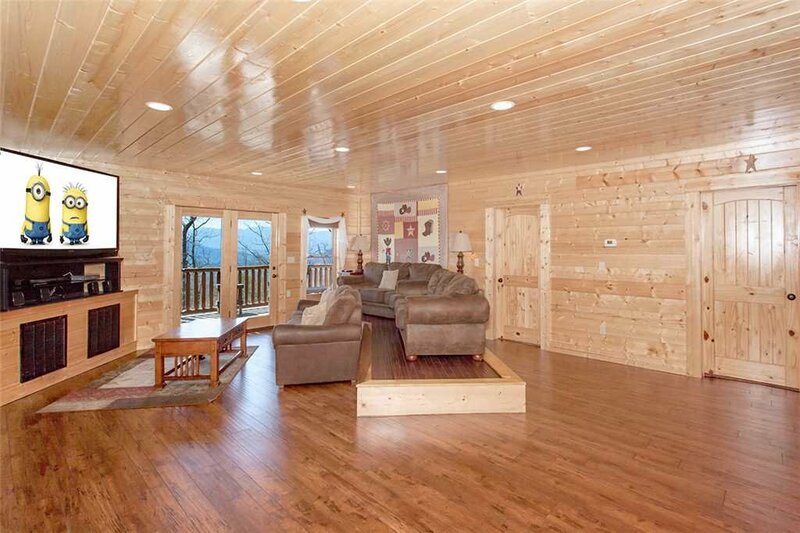 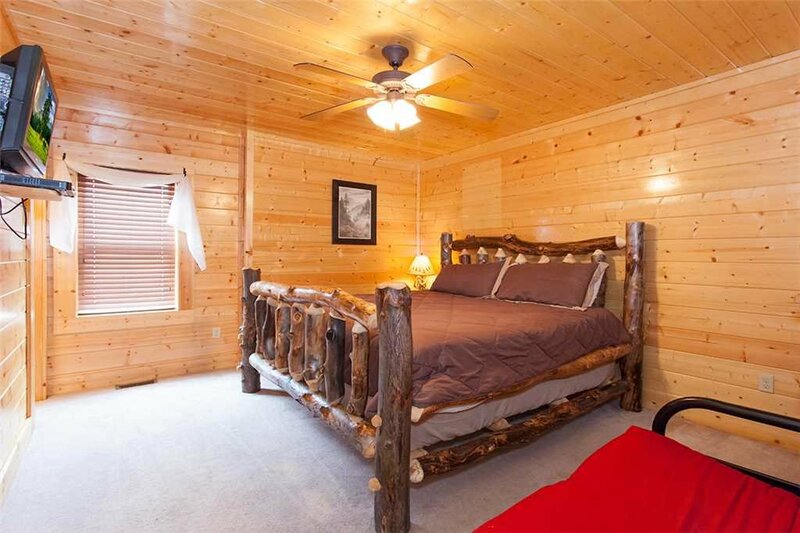 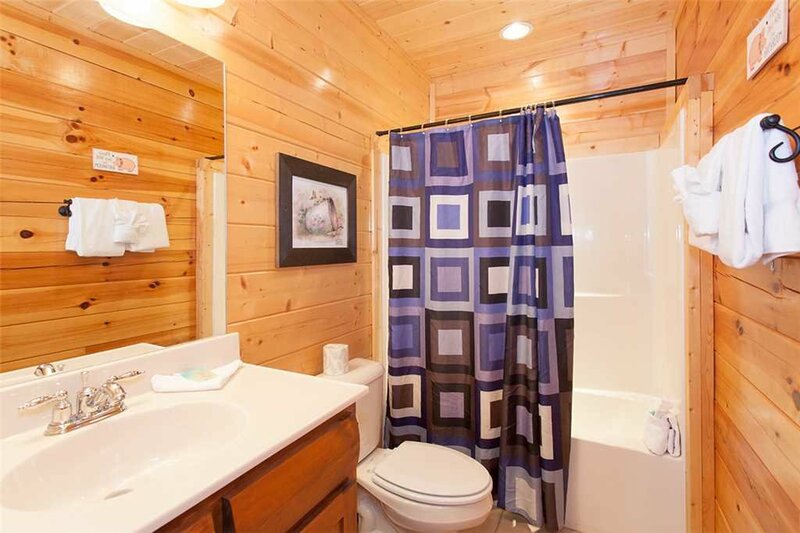 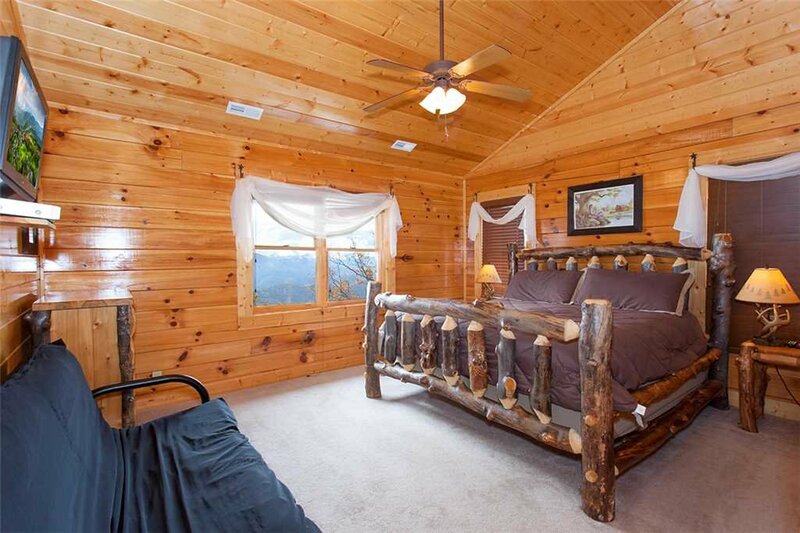 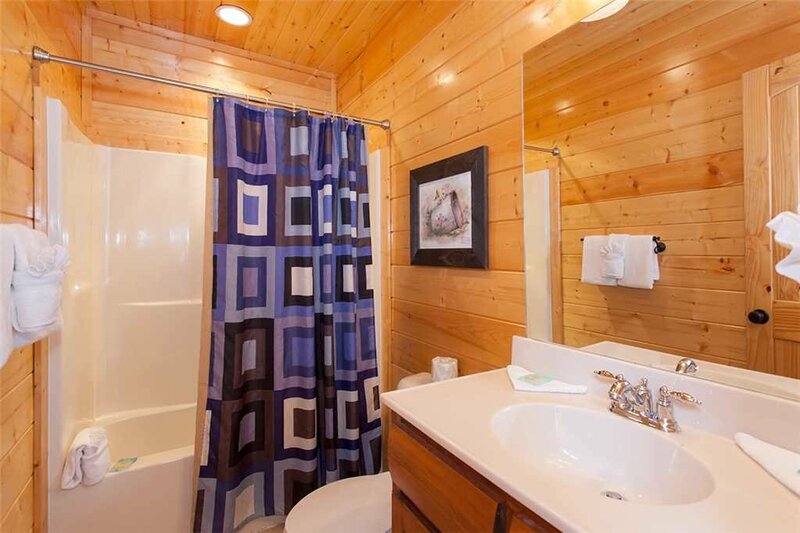 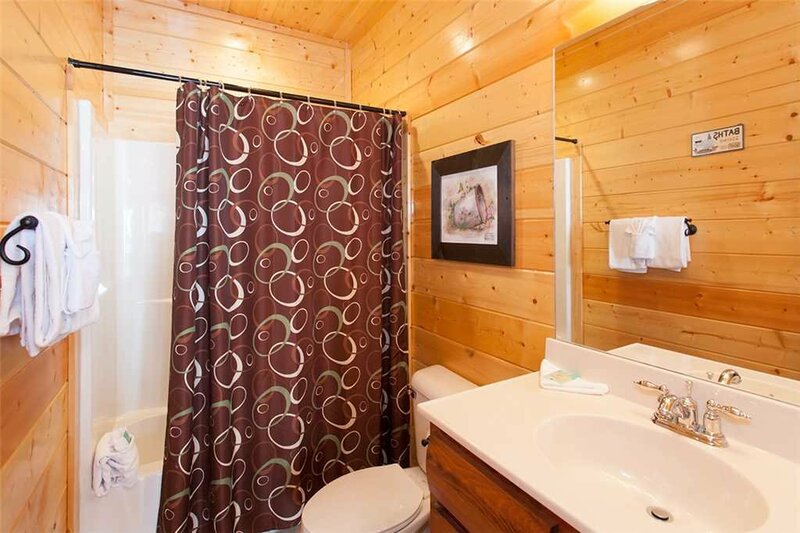 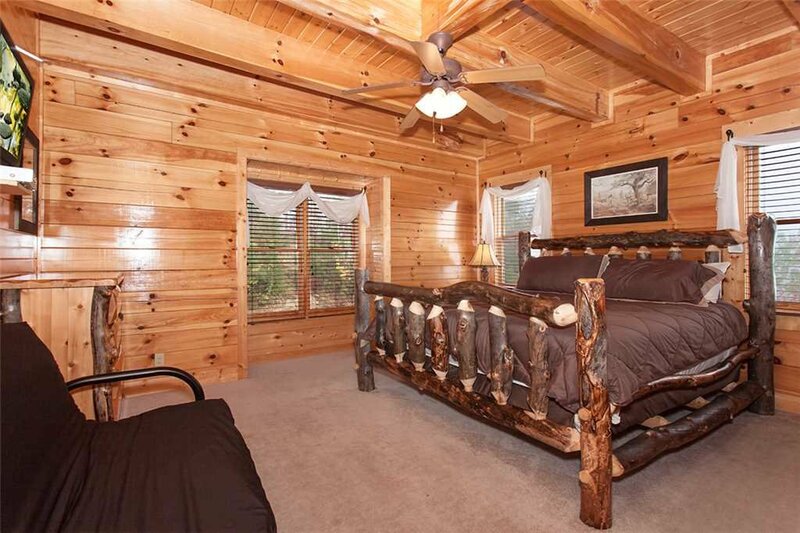 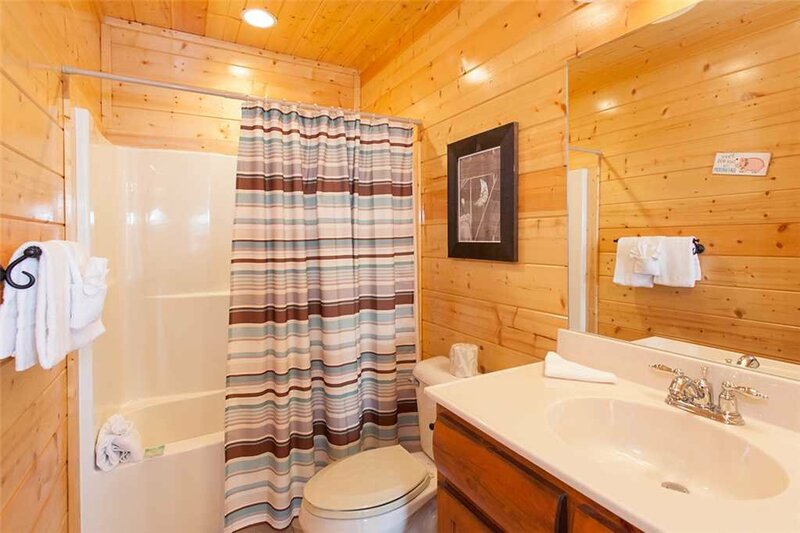 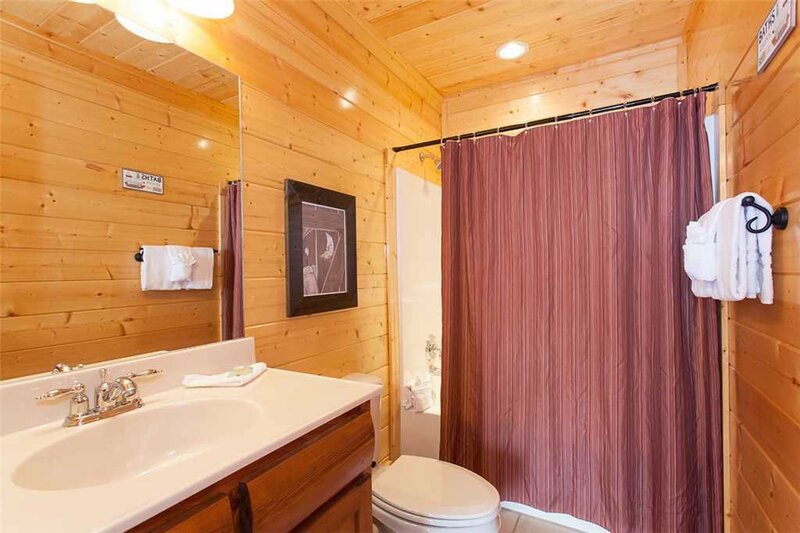 Let your family or group enjoy this beautiful cabin on your next visit to the Great Smoky Mountains where you will always dream of the view after you return home. 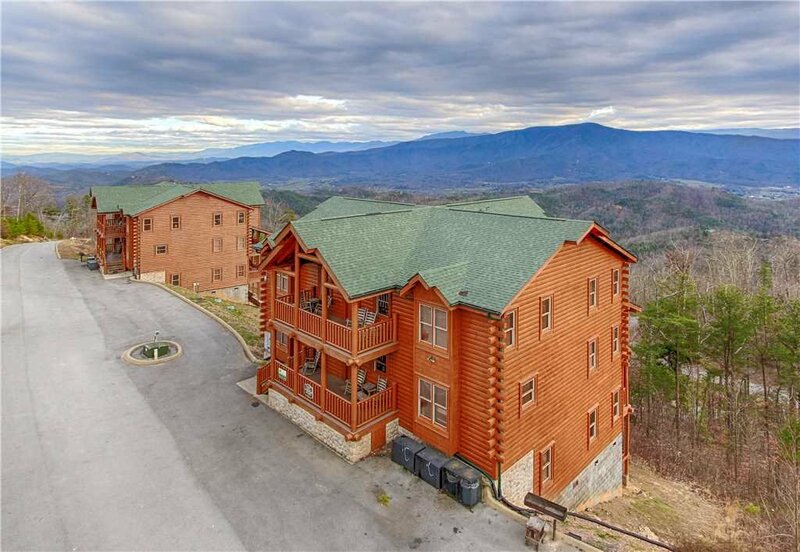 Located high above at The Preserve Resort you’ll feel miles away from the world but still conveniently located to all the attractions, shopping and dining. 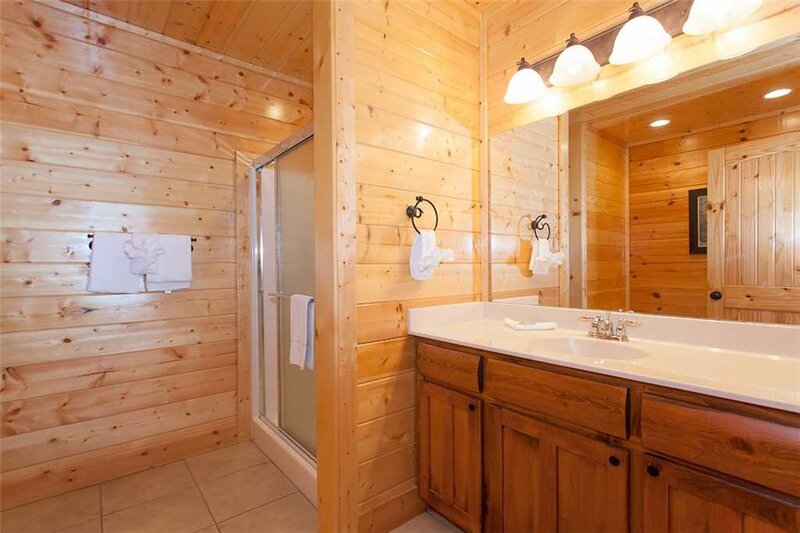 While staying at Dream View Manor guests have access to the resorts seasonal outdoor swimming pool and hot tub. 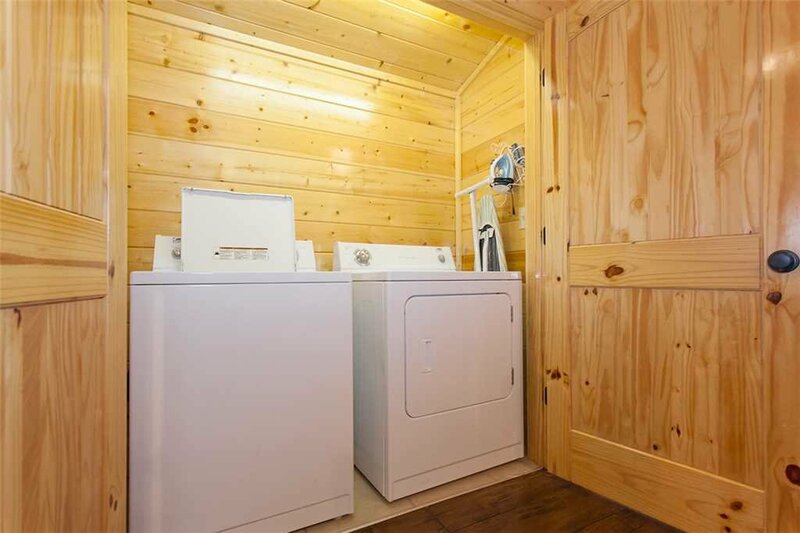 Keep up with your workouts with the on-site fitness center that offers updated equipment, sauna and a steam room. 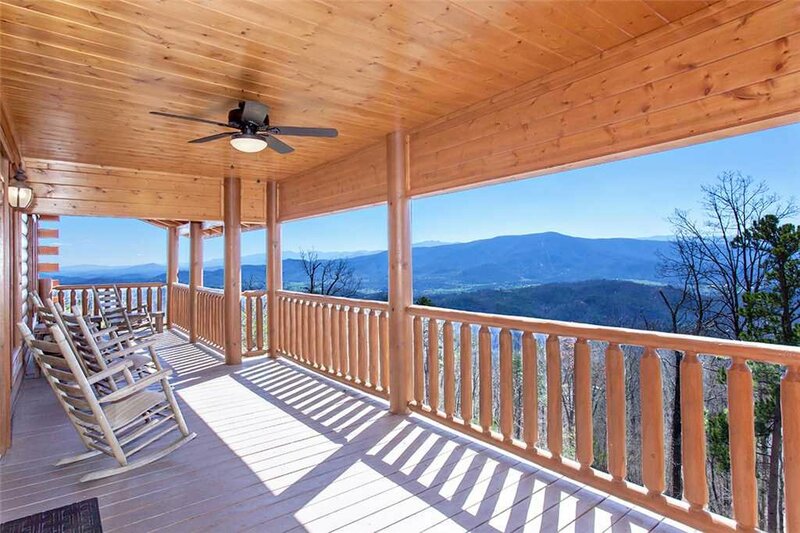 Pull up a rocking chair in the pavilion to pause and appreciate the majestic Wears Valley view. 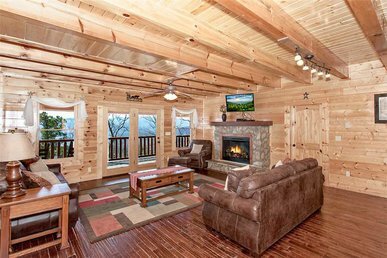 Let the serenity overcome you with your stay on the peaceful side of the Smokies. 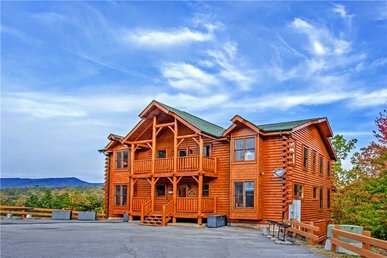 A short distance from your cabin front door to the charming town of Townsend where you can find quaint shops, art galleries, antique stores and local eateries. 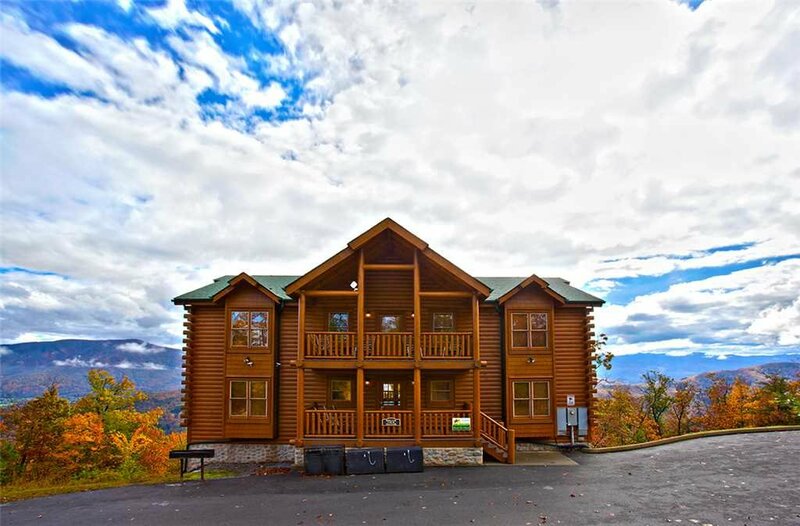 A main gateway into The Great Smoky Mountain National Park is just minutes away where you can begin your Smoky Mountain adventures. 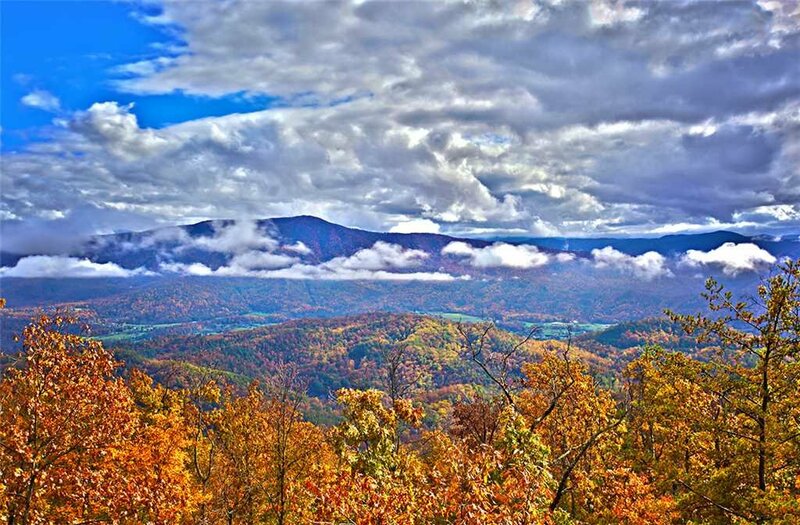 Auto tour Cades Cove for a step back in time, the 11-mile loop follows many of the curves and courses early settlers forged. 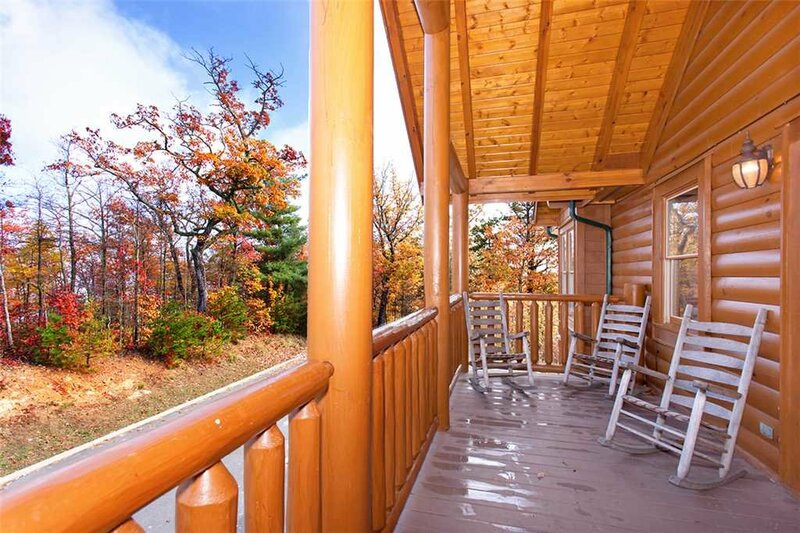 Encounter wildlife such as wild turkey, white tail deer and occasional a black bear. 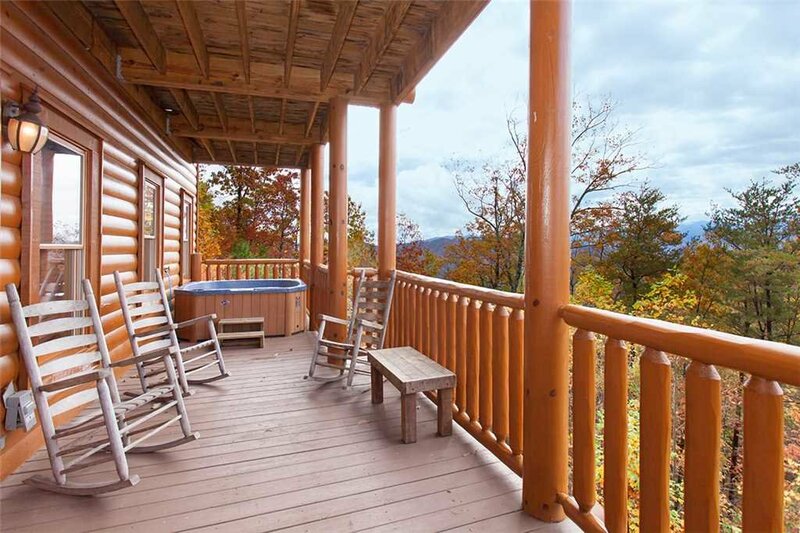 Stretch your legs on the Cades Cove Nature Trail taking you through the woods to see settler’s cabins and outbuildings. 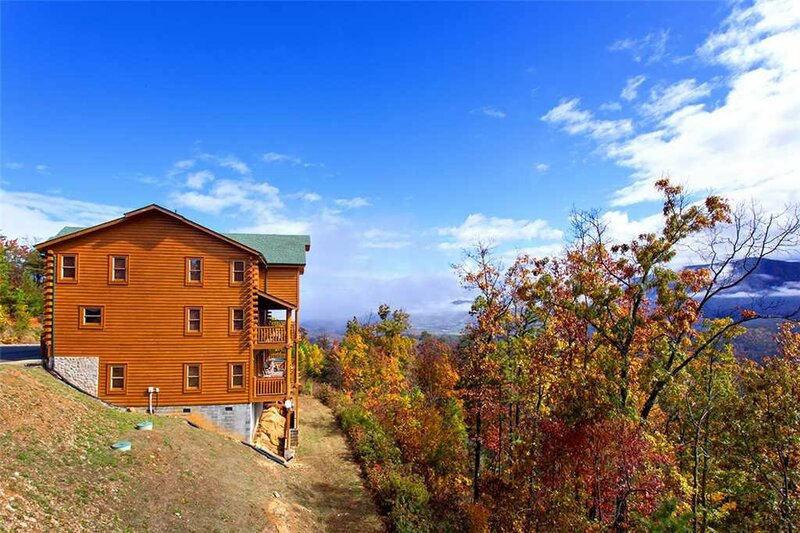 Take a short drive to Pigeon Forge for the best dinner show attractions in the Smokies! 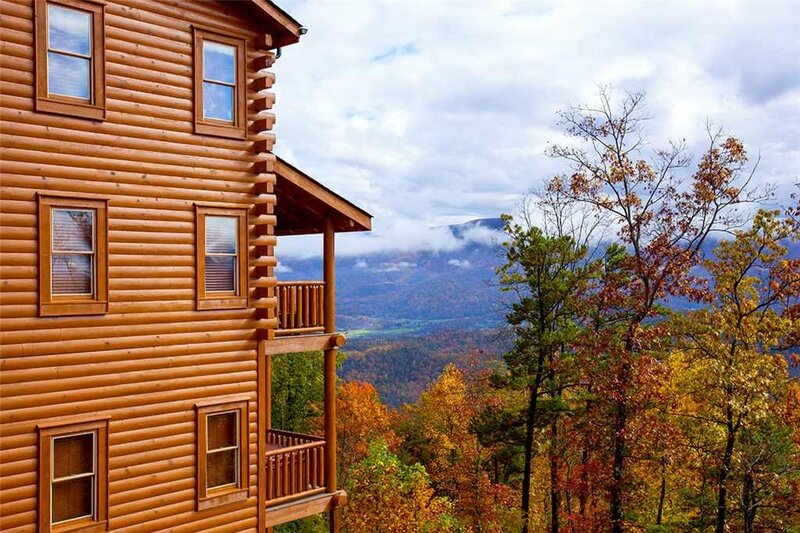 Dixie Stampede, Lumberjack Feud or Hatfield McCoy Dinner Show, all feature shows that are amusing and with dinners you’ll always remember. 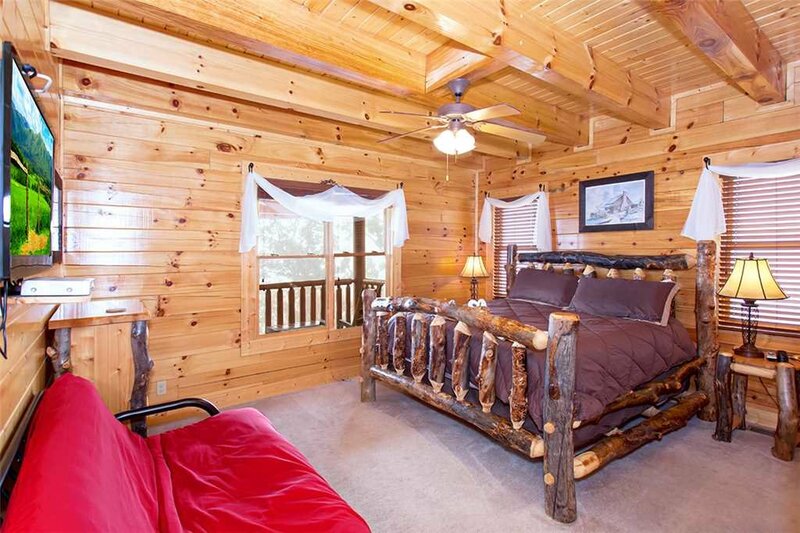 Spend the day at Dollywood, one of America’s favorite amusement parks or Dollywood’s Splash Country on hot summer days. 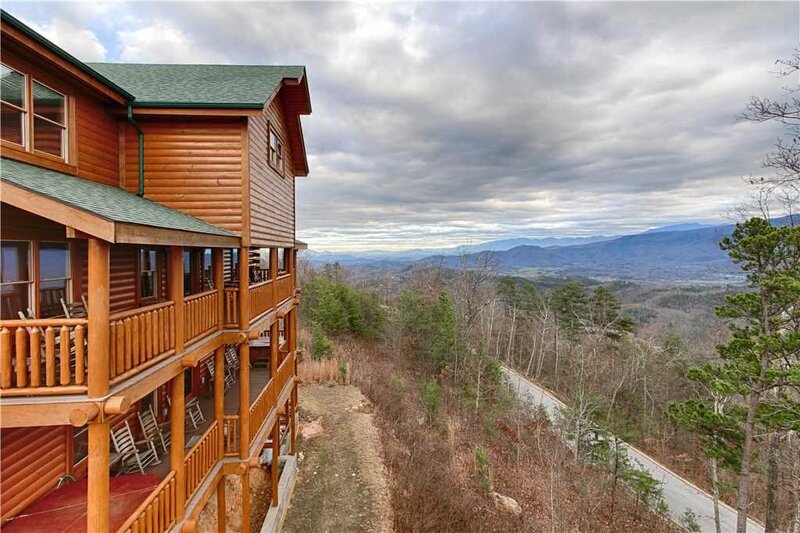 Shop at Tanger Five Oaks Outlet Center for bargains on brand names and designers then go on over to the Island at Pigeon Forge for a spin on The Great Smoky Mountain Wheel, featuring all glass gondolas that takes you up 20 stories for a mesmerizing view of the Smokies. 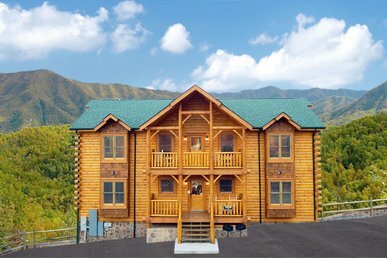 Ramble down to Gatlinburg for mountains of family entertainment! 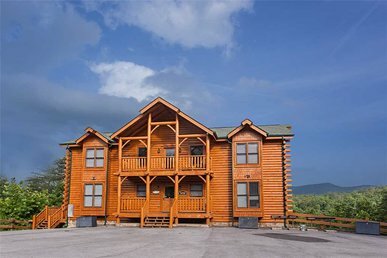 Ober Gatlinburg is an amusement park and ski area that offers an aerial tramway from downtown to their mountain side of fun with year round ice skating, alpine slide, mountain coaster and chair swings. 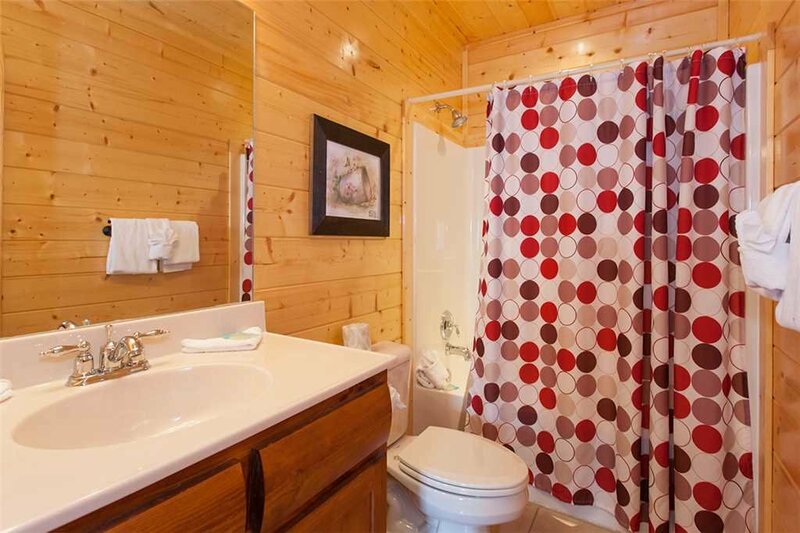 Stop at one of the many Ripley’s attractions like Ripley’s Mirror Maze that offer entertainment for all ages. 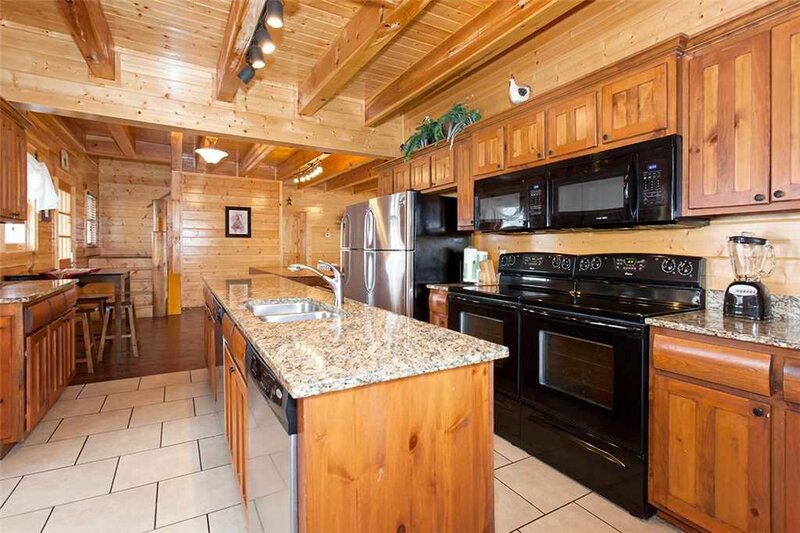 Grab a bite to eat at Johnny Rockets for burgers and shakes to recharge you.